Beautiful Tudor style home with water views and perfect curb appeal in the desirable gated community of the Preserve at Astor Farms. Upon entry you will be greeted by soaring 30â foot ceilings into the dining room and formal living room. The spacious and open kitchen boasts 42" wood upgraded cabinetry, Corian counters, butler's pantry, breakfast bar and large eat-in nook. This home is made for entertaining as the kitchen is open to the family room and covered patio. Wake up to the sparkling pond views from the Master retreat. Master bathroom en-suite features a garden tub with and separate shower and large vanity with his/her sinks and a large walk in closet. Bedroom 2 and 3 feature walk in closets and share a full bath. The bonus/loft area is the perfect office or play area. Enjoy relaxing and entertaining on the large lanai overlooking the spacious backyard with picturesque pond views. The home is new painted inside and out and the gorgeous laminate flooring was just recently installed. The exterior also features an inviting front porch and extra long driveway. The Preserve at Astor Farms is a unique gated community located in West Sanford surrounded by ponds, conservation areas and nature preserve. 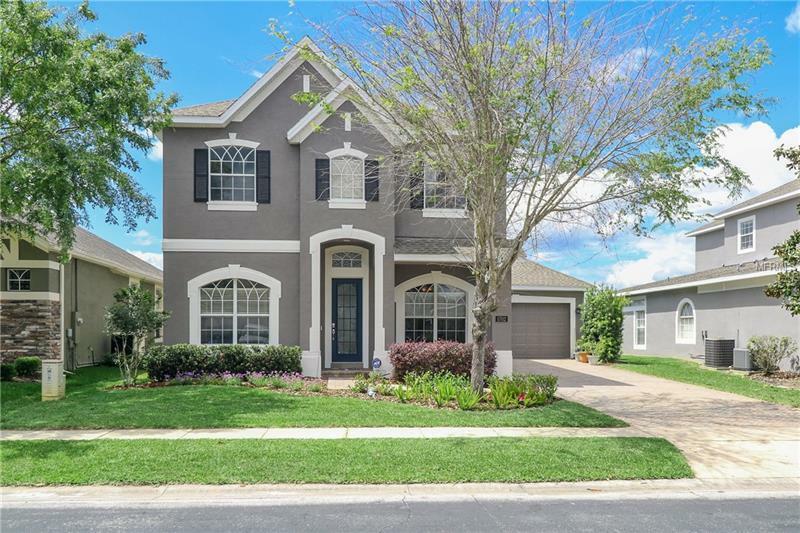 This home is perfectly located minutes from major highways, excellent Seminole county schools, shopping, dining, and all that downtown Sanford has to offer. Your dream home awaits, come see today!